here's my latest wallpaper yet! its basicly almost the sam concept as my wallpaper preview version but i manade 2 change somthing a bit! like i put LESS STARS 2 let DMG stay a DARK look! hope u guys like this! Browse Yu-Gi-Oh Duel Monsters Gallery: Recent | Popular. Wow! Its so beautiful!+Fav! Great work! I really like the background! All this Dark Magician Girl goodness ! So far you've done some nice modifications. And this is a nice scan, it's just lacking a bit IMO. So many other scans of DMG (BMG) that deserve recognition. Wow, this one is very good! I like it better without the extra stars and that I can see Dark Magician Girl better. Very good work! 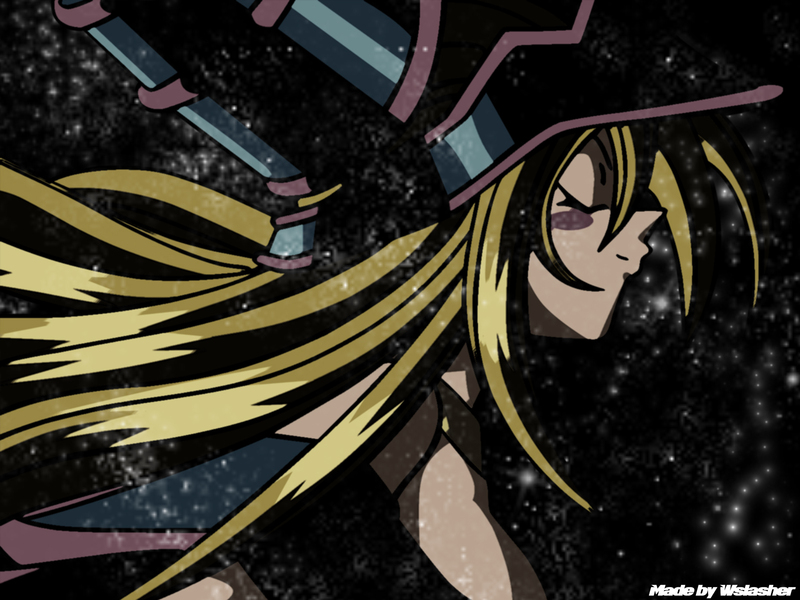 Quote by MadwonAll this Dark Magician Girl goodness ! its not a scan, i used my vectored pic of DMG on this wallpaper! but im glad u like it! i will be vectoring other pic of DMG but not right now! Not fer! I can't decide wich one is better! pu pu! Mybe this one, the star sky is nice, goeas well with her! But its a bit to dark for the dark Magician girl? <3 This is just beautiful! I love Dark Magician Girl ! Still the most creature from Yu-Gi-Oh! series, in my opinion!